Boston FIG was a success! The show ended up beating crowd estimates with 7,500 attendees total, and there was a constant flow of people around both the Crystal Brawl and Nika booths. 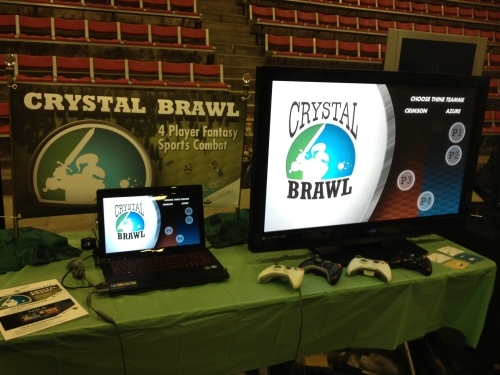 In terms of what we did right, bringing a big freakin’ TV for Crystal Brawl helped a lot in grabbing people’s attention. 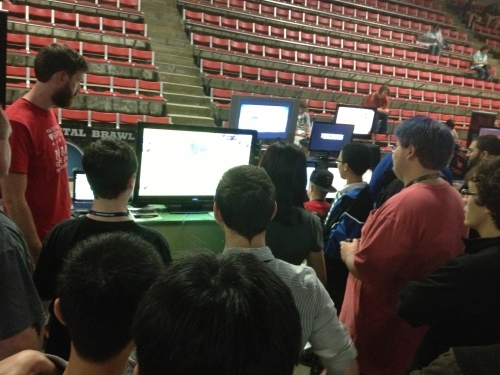 Most of the other games had laptops or monitors, and having a larger screen helped command more of a presence. The TV was so big that it dwarfed the display we made up, but that’s a pretty good problem to have. On the downside, the ice rink where the digital games were held had spotty cell reception, so it was harder to push out social media updates and stay connected during the show. Next time, we’ll either ask for a wired connection (always nice to have), or make sure someone is on hand to run out of the building to post if anything super interesting comes up. For next time, we all agreed having a sign-up sheet to get more information about either game would have been a good idea. 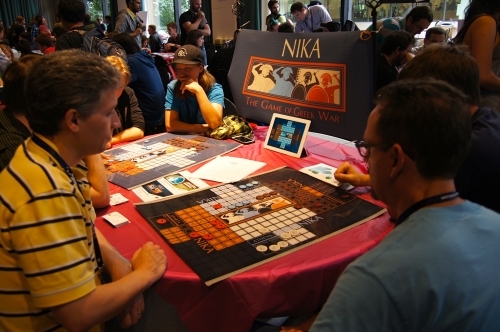 We did have special business cards made up for Nika with information on how to follow the game’s development, but didn’t have any handouts for Crystal Brawl. 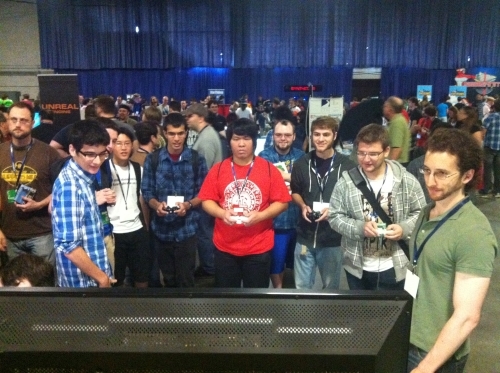 We’ll make sure to have something on hand the next time we bring that (or any other) game to the public. All told, it was a great event and a fun time, and we can’t wait for next year!